WHOLESALE BUYING: Paloma Pottery provides wholesale pricing and easy online ordering to qualified buyers. A valid Resale Certificate number or Federal Tax ID number must be provided for any new customers or inquiries. 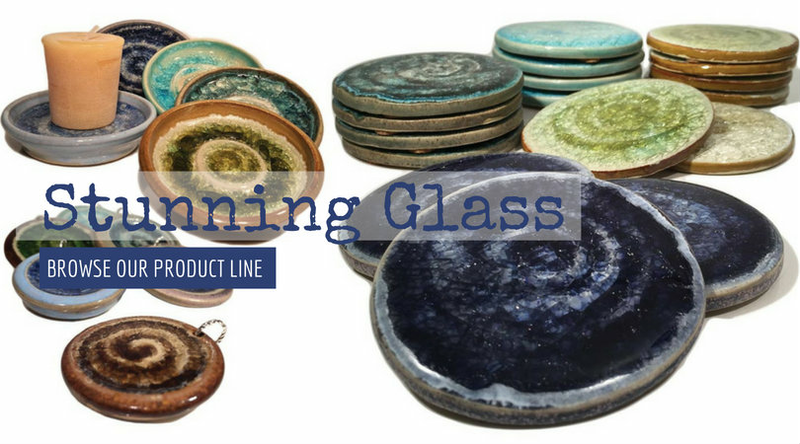 For our current customers, please note our wholesale shopping sites have merged, http://www.glasspotterywholesale.com/ and http://www.palomapottery.net/ have merged into one online shop here at www.PalomaPottery.com Give us a call anytime and we'll get you set up for wholesale shopping. $250 for opening orders, $75 for reorders. Orders less than $75 excluding shipping & handling charges, are subject to a $30 low order fee. To order online, simply add your items and quantities to your cart, then proceed to checkout using your wholesale pricing authorization code. Please note any special requirements in the comment field at checkout. If you prefer to place your with our wholesale specialist, simply call Toll Free 877-669-0783 8am-5pm PST for customer service and wholesale inquiries. We are a small company, producing handcrafted items. Wholesale orders ship within 4-6 weeks of the order date. Our policy is to ship your order complete, some items may be available sooner. If you prefer a split shipment, additional freight charges may apply. We accept all major credit cards, money orders, Paypal and personal checks. All opening orders require prepayment before order processing starts. Subsequent orders may qualify for net 30 terms with an approved credit application. Accounts not paid within 30 days of the date of the invoice are subject to a 10% monthly finance charge.